Watch the long lovely pointed buds slowly open to tones of glowing orange…but suddenly take a startling two-toned turn. 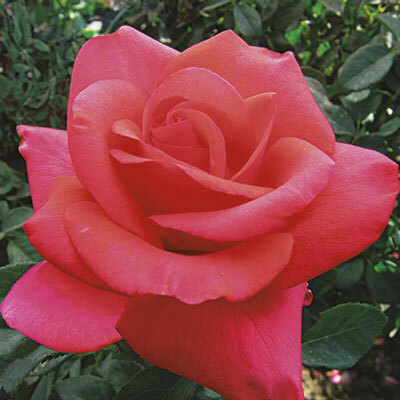 As the large flowers spiral open the outer petals wash to warm pink, giving two distinct colors in each lovely bloom—orangey on the inside & pinky on the outside. The big open blossoms are carried on long stems clothed with very deep green highly-glossed leaves. Warm weather brings out the best flower colors.